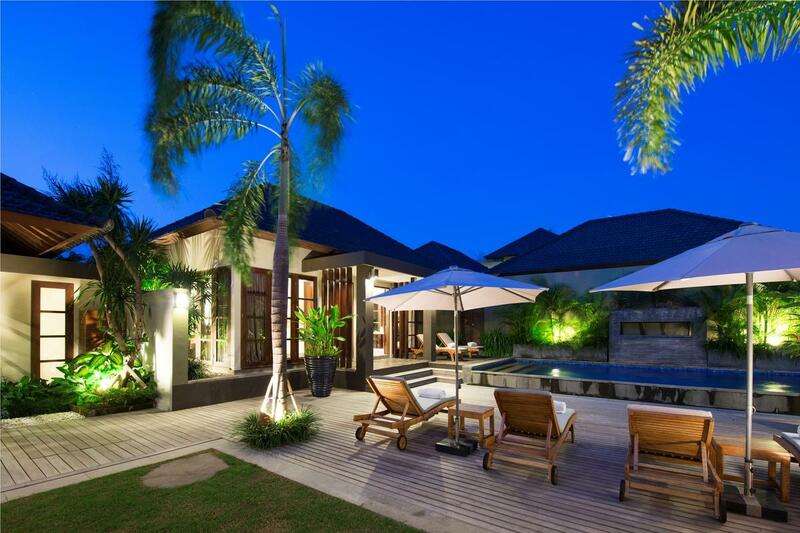 Located in the heart of lively Seminyak, yet hidden away in a peaceful private estate, the villa offers the best of both worlds. It is hard to imagine a better location from which to enjoy all that Seminyak has to offer, from surf beaches to world-class restaurants, beach bars and boutiques. 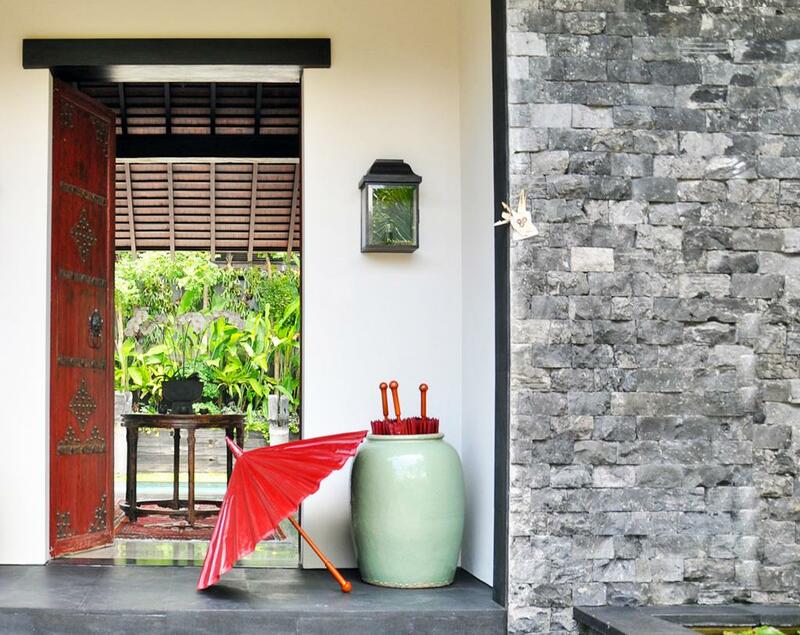 Yet when its time to chill, just swing back the beautiful antique Chinese doors and retreat into your own private hideaway. 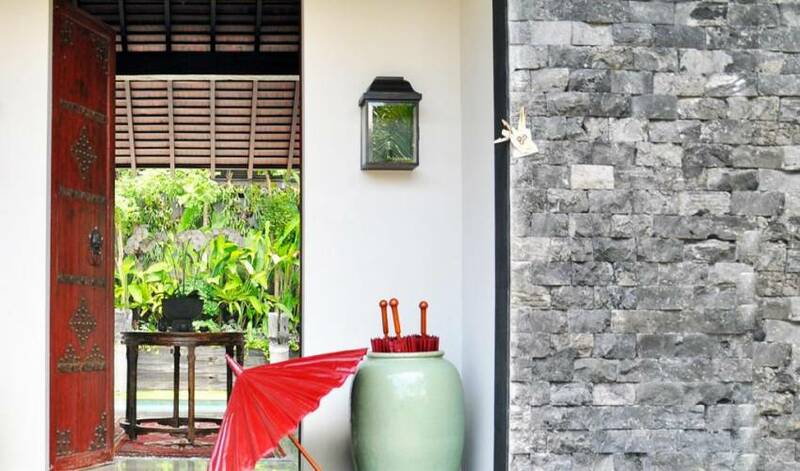 The 12-metre swimming pool surrounded by a wide ironwood deck, sun loungers and lush vertical garden, provides an idyllic setting for lazy sunny days and balmy evenings illuminated by flickering candles and hurricane lanterns. With an iPod dock and Bose speakers to hand, you can choose your own holiday soundtrack. 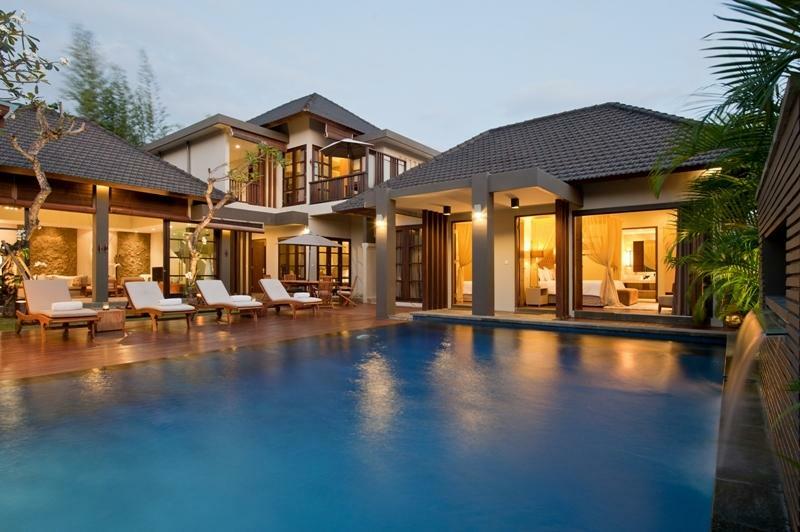 Four spacious, modern bedrooms are located in two double-storey sleeping pavilions at either end of the pool, making the villa a fair share for groups or families. The main pavilion is the epitome of tropical living with its whirring fans, fresh coastal breeze and dining table for eight. 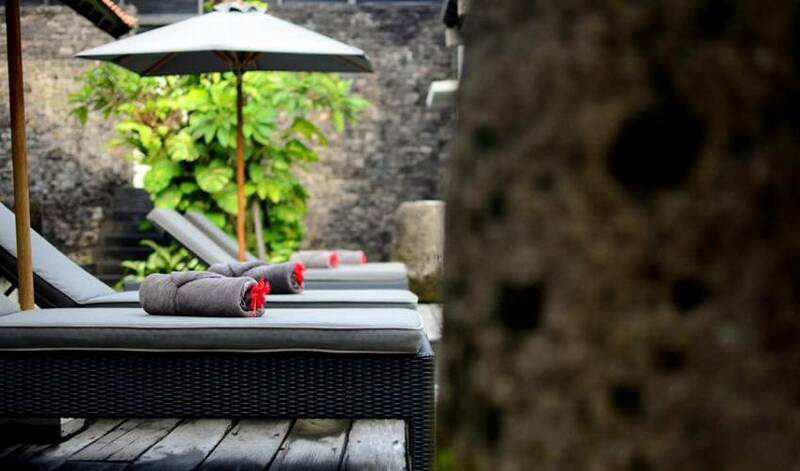 A talented private chef is on hand to prepare gourmet meals, seafood barbecues and Indonesian banquets from a suggestion menu, but you may prefer to wander down the lane to sample Eat Street’s eclectic range of restaurants. 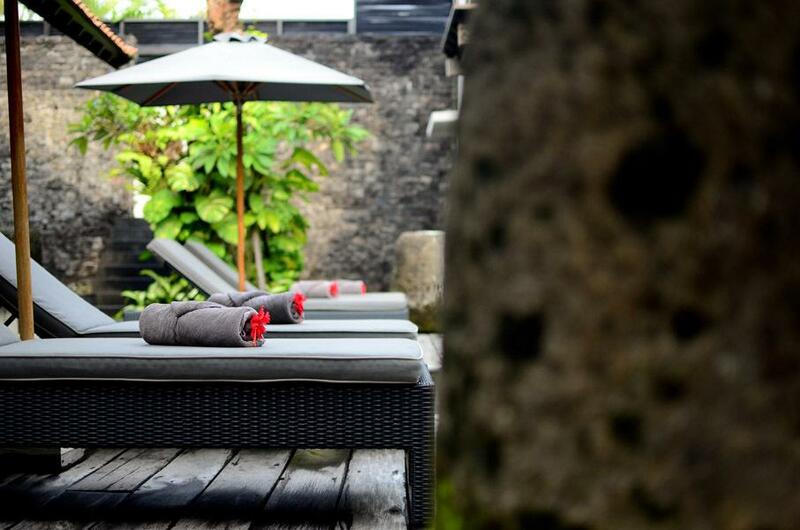 Should you wish to explore the island’s mystical volcanoes, picturesque rice fields and fabled temples, the villa’s friendly manager will be happy to arrange transport or tours. 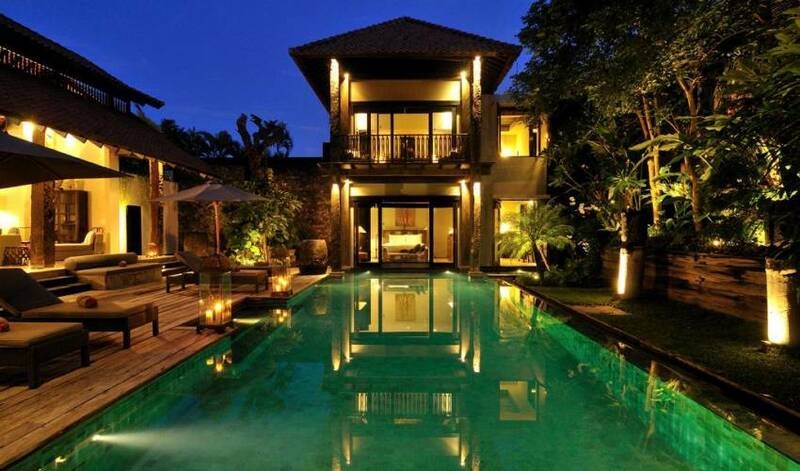 The villa is entered through a delightful open-fronted pavilion, which has soaring ceilings dangling with glass lanterns and ceiling fans. This open-plan space incorporates a dining area and living room. Steps across the front lead down to the pool and garden. 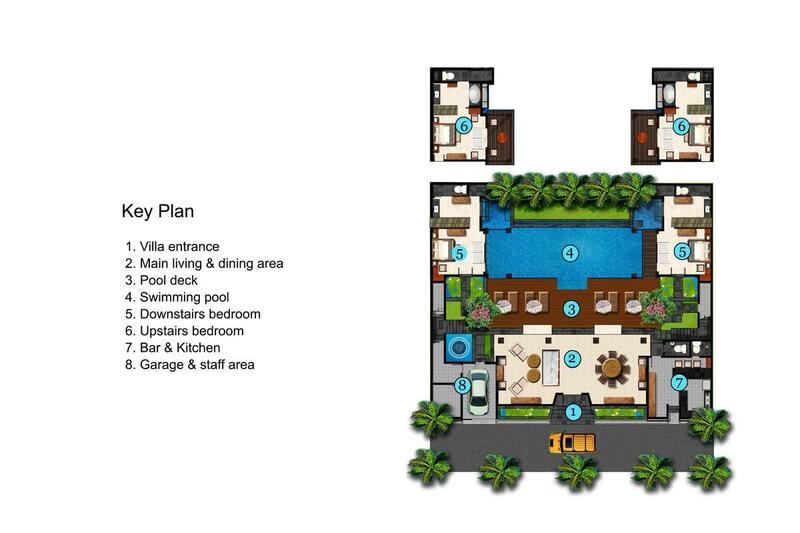 The villa’s four air-conditioned bedrooms are all of equal size and layout, with polished concrete floors, Bose speakers and LCD Satellite TVs. Each is beautifully adorned with hand-picked Asian antiques and artwork, and spacious walk-through dressing rooms have built-in wardrobes. Sleek, modern bathrooms are equipped with monsoon showers and tiled in shiny black granite. 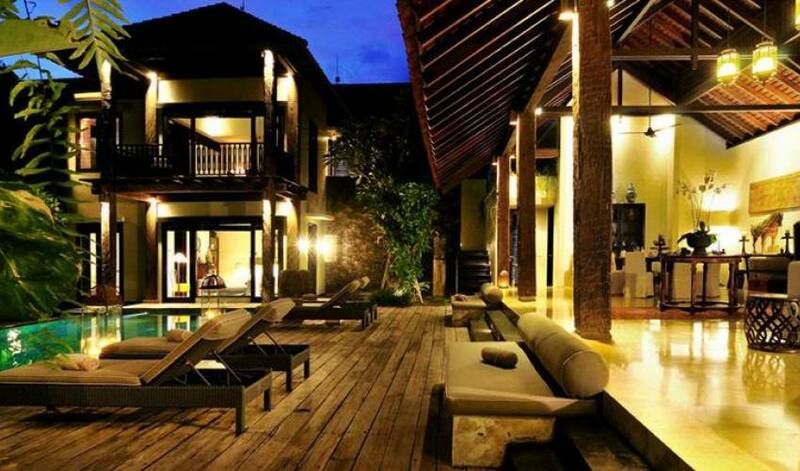 Villa De Suma is set in Bali’s ‘Golden Triangle’, the hippest and most happening corner of the island. 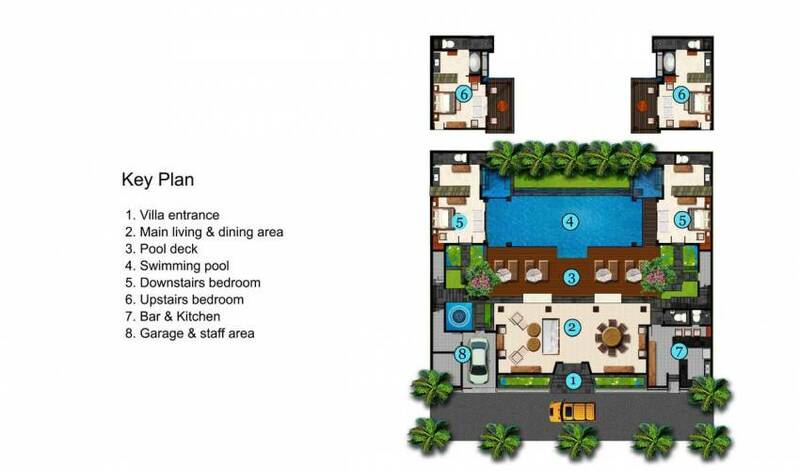 With several exclusive resorts in the neighbourhood, you are in great company. 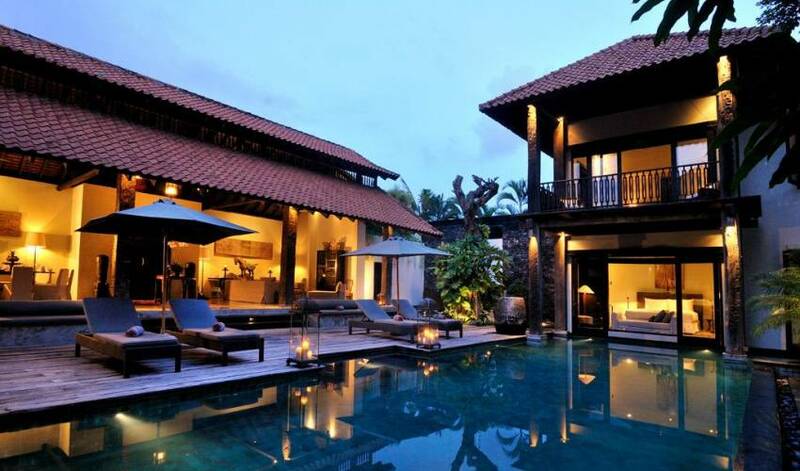 The villa is located on a shady lane in a secure private estate of unique luxury properties just a few hundred metres from Petitenget beach and its ancient temple. 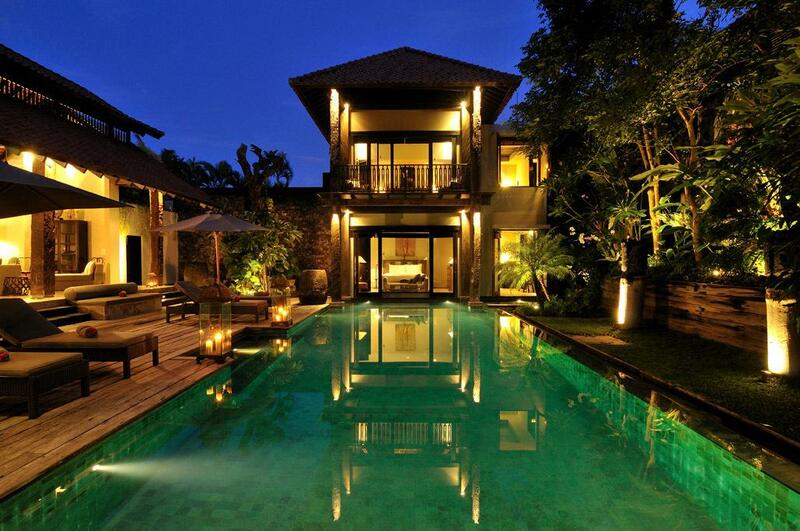 A myriad restaurants, bars, boutiques and spas are also within walking distance, or just a short taxi ride away. Closest options include iconic beach club Ku De Ta for sunset cocktails, brunch at legendary La Lucciola, cheap and cheerful curry and divine gelato at Lello Lello. 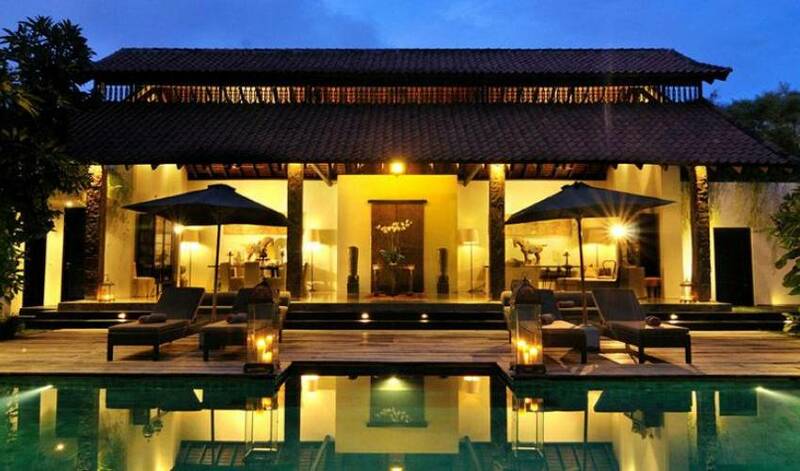 You can also opt for an extravagant spa treatment at Bodyworks, or check out Bali’s newest shopping mall, The Village.